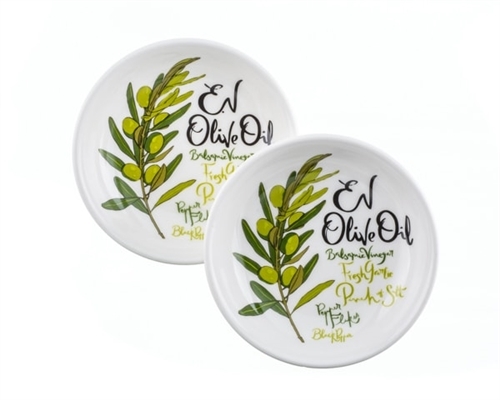 Savor the taste of extra virgin olive oil with a splash of balsamic and some herbs & spices in these Artisano Designs originally created printed dipping dish set. The design includes a simple, always ready, recipe for dipping your favorite crusty bread. 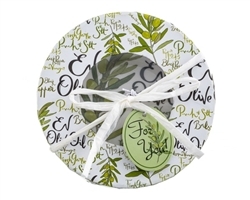 This porcelain set is beautifully presented in a round gift box, ready to give as a wedding favor or gift for any occasion! Includes matching "For You" gift tag. Round gift box with base and window lid with raffia ribbon and bow.